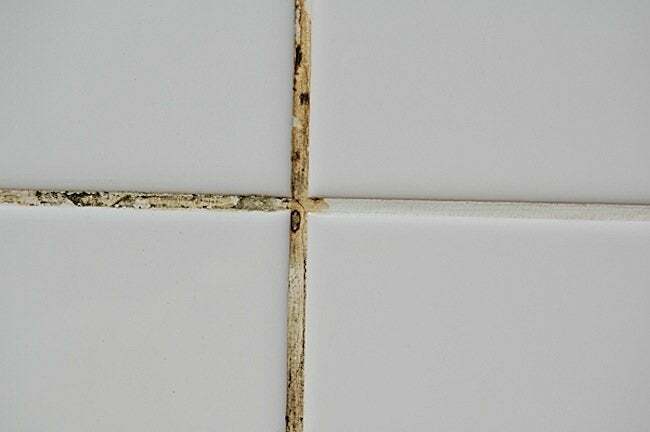 When in Doubt, Revive Your Grout! If your floor, backsplash, or tub surround is looking a little tired and outdated, the solution may be as simple as cleaning, reviving, or replacing the grout. Cleaning – In some cases, the grout might just be stained or dirty, particularly if you are dealing with a floor that gets a lot of traffic. There are plenty of grout and tile cleaners on the market, but hydrogen peroxide and baking soda may work just as well. Pour a little hydrogen peroxide onto the grout lines and use a grout brush to work it in for a few seconds. Then pour baking soda on top and brush your little heart out. Clean up with water after you have covered the entire area, and your tile and grout will look fresh and new. Coloring – If the color of your grout is simply outdated or faded, you may want to use a grout colorant to make it look new again. Grout colorants are applied directly to your existing grout; the process is not difficult, but it is a little tedious and time-consuming. Keep in mind that this will work only if your grout is porous (like most grout) and your tile is nonporous. Sometimes colored silicone caulk is used where tile meets other materials such as hardwood or tubs; grout colorant will not work on these areas. Also, when choosing a grout color, stay away from white or light colors because they will inevitably get dirty and stained. If you choose a darker color, then you won’t have to worry so much about the grout getting stained from foot traffic. Replacing – If your grout is chipping, cracking, or coming loose, you can actually get rid of it and replace it with fresh, new grout. This may seem like a daunting task at first, but the old adage “the right tool for the right job” certainly applies here. The HYDE Regrout Tool makes removing grout unbelievably easy. It removes both sanded and unsanded grout at a rate of about 1 inch per second, and works with grout lines up to 1/8 inch wide. If you have ever tried to use other grout removal tools, you know that they are frustrating and dangerous, and they can actually damage your tile. The HYDE Regrout Tool eliminates these problems—it’s very easy to use and surprisingly affordable as well. The carbide tips are able to get into tight, awkward places, and they are even safe to the touch when the tool is running. Again, once the grout is removed, consider replacing it with darker colors that will not show dirt. Sealing – After you have cleaned, colored, or replaced your grout, be sure to use a grout sealant to protect it and make it easier to clean in the future. Grout sealants help keep your grout from getting stained, and they protect it from moisture and mildew. It is well worth the small investment of time and money to protect your hard work and your refreshed tile surface! So before you start tearing out your tile, look into giving your grout a facelift. There’s a good chance that fixing up the grout using these helpful tips will give you the same results as replacing your tile, for a fraction of the cost! This post has been brought to you by Hyde Tools. Its facts and opinions are those of BobVila.com.